Here's a peek at our last 2 weeks from the camera on my iPhone. Our final harvest from the giant tomato bush. We are going to miss you big guy. Cards are in their blood. Laundry baskets are still one of her favorite things. Why do we have toys again? 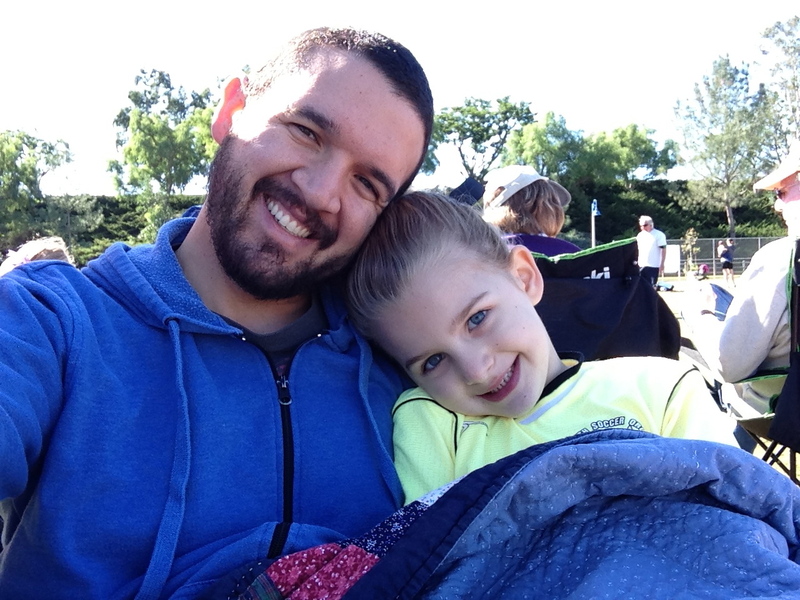 Mackenzie was battling a cough at her last soccer game so she hung out with Daddy and cheered her team on. Daddy rides are the best! But when Daddy is at work Maddie settles for dinosaur rides. I may or may not have won 4 times in a row. We have a graffiti artist in the house. We have the best helpers! Mrs. Rhonda came over to make us dinner and brought the chef's hat and apron for the kids to help. Mackenzie is a master bed maker. I have no idea where she learned it from. The kids favorite new game is 5 Little Monkeys Jumping on a Bed. If you come over there is a 90% chance they will make you play it with them. I snuck out of the house and made it happen. Over 2,000 emails in my inbox. Don't worry I read them all. Apparently I just have a problem deleting them. Dressed in his army gear. A very happy gift from a friend! A jar of homemade chai mix. but stick it on a skewer and you would think we had taken them to Disneyland. 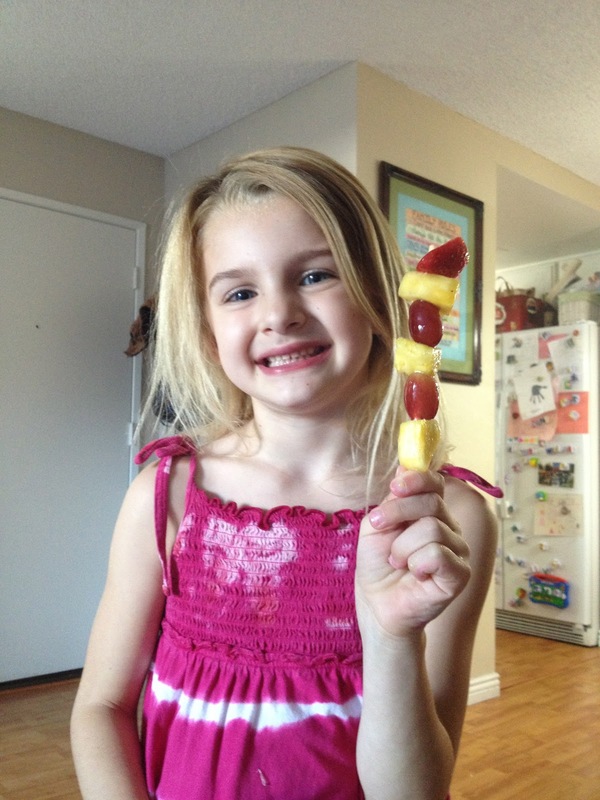 Maybe my kids get it from me because this kind of fruit on a skewer makes me really happy too! !